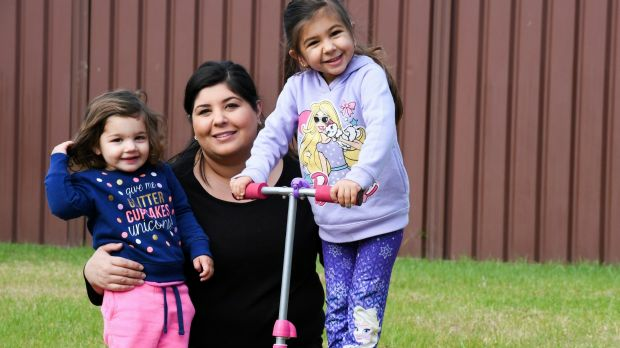 Connie Vella had high expectations for the National Disability Insurance Scheme and what it would mean for her four-year-old daughter Hannah, who has bilateral hearing loss. The Cranebrook woman went to her meeting with an NDIS planner earlier this year, well prepared with quotes from a range of hearing specialists and a list of the supports Hannah would require. All up, the quotes came to $34,000 including early intervention services, speech pathology, language therapy, a school readiness program and hearing aids. Mrs Vella was stunned when the planner returned with a package worth $12,000. "It was a massive gap," she said. "We are supposed to be no worse off under the NDIS. We're a lot worse off. I'm a good advocate for Hannah but there are families out there who'll just accept what's on offer and that worries me for these children." The $22 billion scheme, by its own definition, is intended to fund "reasonable and necessary supports that help a participant to reach their goals, objectives and aspirations and to undertake activities to enable the participant's social and economic participation". But Mrs Vella's request for $3000 waterproof hearing aids so Hannah could learn how to swim was queried and funding for a school readiness program was knocked back. "She's four years old, she's got to learn how to swim. How can she do that without hearing aids? I would have thought knowing how to swim is reasonable and necessary. It's not as they're some sort of luxury item we want for the sake of it." When Mrs Vella questioned the plan she was told Hannah was rated "low needs" by a planner with little knowledge about deafness or hearing loss. "She was sympathetic to Hannah but she had no specialist expertise in children with hearing loss," Mrs Vella said. "It was hard to understand how an adequate assessment can be made by someone with no background in that particular disability." 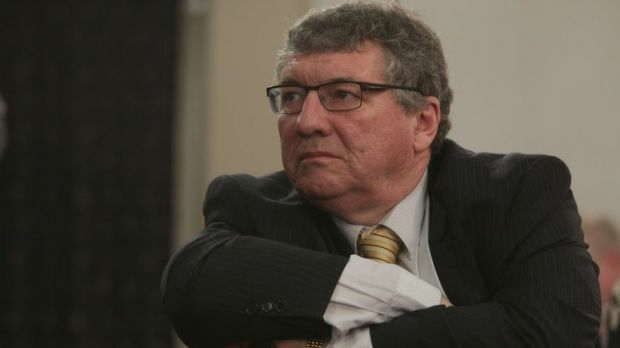 Jim Hungerford, chief executive of The Shepherd Centre which specialises in early intervention services for children with hearing loss, has been informed of similar cases in NDIS trial sites around the country. The scheme begins across northern, south-western and western Sydney on July 1. He said effective early intervention services cost about $18,000 a year on average, but NDIS packages on offer were as low as $10,000. "Children with hearing loss need a very complex program with lots and lots of support," he said. "You can't run a complex program for that sort of money. I'm worried that kids will get a service thinking everything is okay but in actual fact the children will never learn how to talk which will cause them great problems in the future." The cost benefit of effective early intervention is huge, Mr Hungerford said, with deaf children entering school on par with their hearing peers. "Hearing loss has so many potential negative effects on children," he said. "If it's not addressed early, it affects their mental and emotional health, it affects their reading and writing skills, their achievement in school and employment opportunities. It can be as bad as children not having any functional language at all and ending up on a Disability Support Pension in adulthood." He questioned whether scheme administrators were overreacting to fears of cost blowouts ahead of the full roll out of the program. "I think the planners are responding to all of the concerns about overspend and they're clamping down without realising they are putting these children's lives at risk," he said. A spokeswoman for the National Disability Insurance Agency, which implements the scheme, said it was working with experts to develop national guidelines defining "reasonable and necessary" support for children with hearing loss. The expert advice will be used to guide planners. "The sooner the support is delivered, the much better the outcomes for the individual but also for society at large," he said. "One of the strongest arguments in favour of the NDIS is the cost of doing nothing. If we were to continue with the old system there will be higher costs to the health system, the mental health system, juvenile justice and corrective services." Economic modelling by Charles Sturt University released earlier this year forecast an NDIS-driven economic boom for NSW, as people with disabilities and their informal carers enter the workforce or increase their hours when the scheme is implemented. The Productivity Commission found that NDIS would result in an additional 320,000 people with a disability and 80,000 carers nationally being employed by 2050, boosting GDP by 1 per cent. The NDIA did warn the Federal Government of the potential for cost blowouts last year in a document which cited the increasing prevalence of autism spectrum disorders and developmental delays, workforce pressures and states shifting health costs. "Clearly risks remain, especially for the Commonwealth Government which is on risk for cost overruns," it said. "Cost risks are currently being managed, but exposure is ever present." The Productivity Commission initially forecast the average cost of NDIS packages would be $34,969 a year. The most recent quarterly report from the NDIA shows the average plan amount is $35,992, excluding residents of large institutions. From July 1, the scheme will begin its full roll out with people to be phased in by geographic districts across Australia. The number of NDIS participants is expected to increase from approximately 30,000 to 110,000 over the next year as the scheme becomes more widely available, eventually reaching 460,000 people by 2019. Figures from the NDIA show about one-third of the participants who have joined the scheme so far have autism and related disorders. 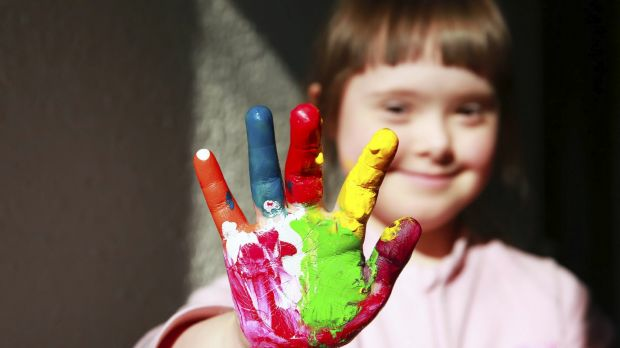 The Productivity Commission estimated 80,000 children would be eligible for early intervention for autism spectrum disorders under the NDIS. According to figures from the ABS, autism diagnoses doubled between 2003 and 2009 and doubled again in the three years to 2012, reaching 115,000. Tamara Van Antwerpen, general manager of the Penrith-based Luke Priddis Foundation which supports children with autism spectrum disorders, has guided families through the process since the NDIS was opened to children under the age of 18 in the Nepean Blue Mountains region last year. "Many families do get overwhelmed and feel they don't know where to begin but there is help available," she said. The foundation helps families draw up a detailed plan for their child before the 90 minute meeting with the NDIS planner. "If you are going to properly represent your child at that meeting you need to be prepared for that," she said. "People have to respect that the planners don't know your child. They don't know your journey." In her experience, most of the planners are doing a "fabulous job" and the funding packages being offered are adequate, particularly for children over seven who previously did not qualify for any ongoing government assistance. "The parents who have gone through the process are overjoyed," she said. "It's very rare that people are let down by the process." NDIA figures show the average funding for autism and related disorders is $26,755 which some experts say falls short of the amount necessary to pay for 20 hours a week of effective early intervention. General manager of client services with the Cerebral Palsy Alliance, Jo-Anne Hewitt has helped advise participants in NDIS trial sites in the Hunter and ACT over the past three years and agrees there are issues which need smoothing out. "There are some clunky bits," she said. "It is a scheme that's being built as it goes so there are some things that are still to be resolved but on the whole it's been a positive transition for the people who have joined the scheme." One development in NSW which has cause some angst is a planning step which critics say will mean existing supports are simply rolled over without consideration of the participant's goals. Ms Hewitt is urging potential participants, who previously had to "beg and scrape" for assistance, to stay focused on the bigger picture. "This is about the long game," Ms Hewitt said. "It's about looking towards the future and while it might not be perfect in the first 12 months or even the second 12 months, you don't have to have everything right now. Keep looking towards the future because the clunky bits will be sorted." An NDIA spokeswoman said supports would not simply be rolled over and plans are not set in concrete but would evolve over time. "A participant's first plan will give them time to think about how the supports they currently receive are working for them and what else they might need to achieve their longer-term goals before their scheduled plan review in 12 months," she said. Disability advocate Bob Buckley is the father of an adult child with autism with an NDIS plan in the ACT. He recommends potential participants focus on what they or their child needs rather than the funding and go into the meeting armed with a plan. He also suggests asking for a planner with experience in the participant's disability. "I'm hearing from lots of families who say the planners really don't understand the disability and don't understand why certain supports would be necessary," he said. "It really does seem very hit and miss." The NDIA spokeswoman said planners had a range of qualifications and 16 per cent identified as having a disability. They are receiving ongoing training about specific disabilities to ensure national consistency. The NDIA is providing information for potential participants online as well as face to face, with shop fronts in Penrith, Katoomba, Windsor, Newcastle and Charlestown. More locations will open as the scheme is rolled out. Every Australian Counts also has information, documents and video tutorials. Consider supports you will need and who will provide them. 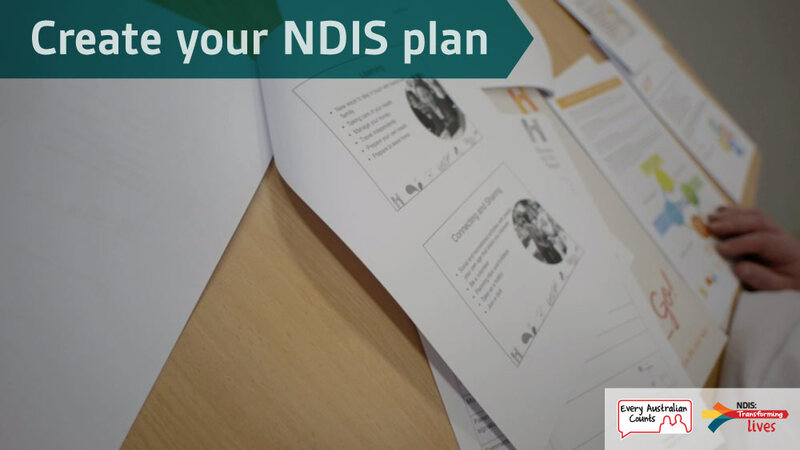 Make a plan with your NDIS planner. You will see and review your plan before it is approved. If you are not happy with it you are entitled to a review.